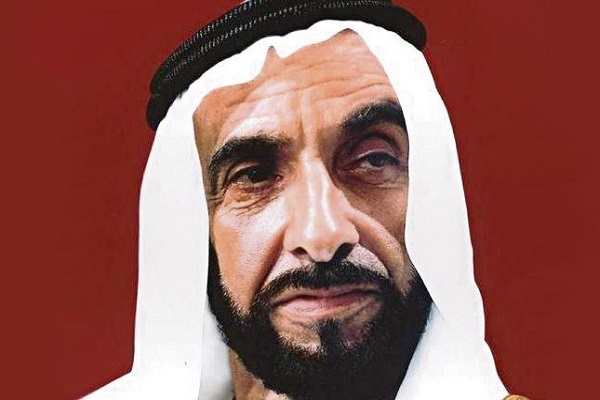 A statue of UAE's founding father late Sheikh Zayed bin Sultan Al Nahyan, was today (December 1) unveiled in in India's capital New Delhi on the eve of the emirates 47th National Day celebrations. The statue was sculpted by Arzan Khambatta, a famous Indian artist, who describes himself an "architect by profession and a sculptor by choice," reported state news agency Wam. The unveiling of the statue took place on the sidelines of the National Day reception in New Delhi, hosted by the UAE Ambassador to India, Dr Ahmed Albanna. Khambatta’s works already adorn leading corporate houses, public buildings and many outdoor landmarks in India, said the report. Peace is a key theme in the artist's work and the late Sheikh Zayed’s ideals of peace, tolerance and acceptance are reflected in the sculpture unveiled on this auspicious occasion, which coincides with the ‘Year of Zayed’, as the UAE marks the centenary of the birth of its Founding Father, it added.